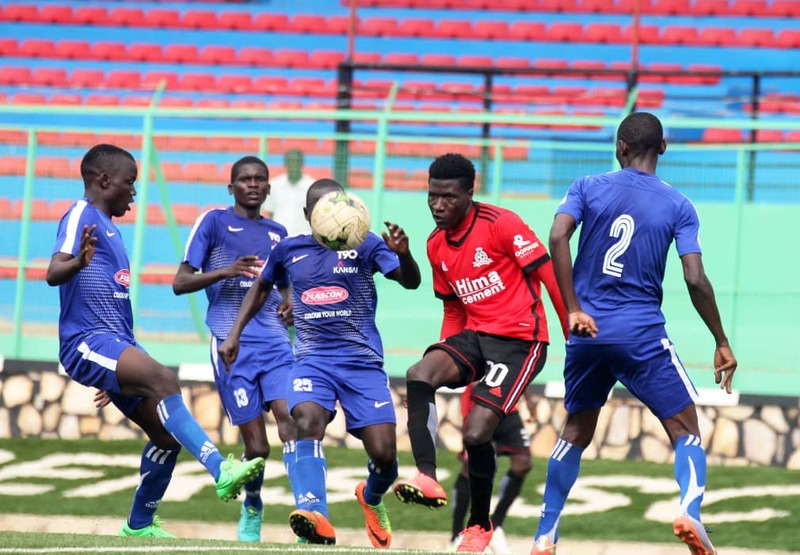 KITENDE – After going two games minus victory in the League, Vipers return to action in the Stanbic Uganda Cup at home to Big League side, Kiboga Young. Looking at the way things are going in the StarTimes Uganda Premier League, the Cup may be Vipers’ most realistic chance to win silverware this season. The loss to SC Villa and a draw away to Tooro United last Tuesday, left the Venoms six points behind leaders KCCA FC with just 11 games to play. Coming up against Kiboga on Saturday give the Venoms who walloped Kansai Plascon 4-0 in the last round, a chance to storm the quarter finals of the competition, three games away from winning a fourth title. Going into the game, Vipers’ head coach Nam Ouma thinks it will not be easy despite Kiboga being a lower tier side. “We may look like favorites for the tie but we have to do it on the pitch, be focused and bounce back to winning ways, said Ouma ahead of the game. “It’s not going to be easy but we must pick up ourselves. Vipers are expected to make a number of changes to their team on Saturday. Defenders Livingstone Mulondo and Geoffrey Wasswa are both ruled out due to injury. However Henry Katongole is available so he could partner Halid Lwaliwa at the heart of the defence. Ibrahim Kiyemba faces a late fitness test due to a hip problem but on a positive note, Bashir Asiku returns from injury as Abdul Karim Nigiyizimana is also fit to start if given the opportunity. Youngster Aziz Kayondo might continue to occupy the left back position following a man of the match performance against Tooro United on his Vipers debut on Tuesday. In the midfield, teenager Bobosi Byaruhanga returns from injury and Vipers Uganda cup top scorer Abraham Ndugwa could start as Moses Waiswa is unavailable due to sickness. For Kiboga, they have had an impressive season so far. They currently sit second in the Big League-Rwenzori Group, only a point behind leaders Tooro United. Felix Ssekabuza’s side eliminated St Marys 2-1 at Bamusuuta Playground with Abbas Kateregga and Willy Kalyango both on target despite the team falling behind early in the game. This will be the second ever competitive meeting between the two sides. The first and only previous meeting saw Vipers humiliate Kiboga 7-0 in 2017. This will only be Vipers second fixture in this year’s competition after they were given a bye in their round of 64 game against Rushkere Growers after the opposition failed to turn up. Last year, they were beaten 1-0 in the final by KCCA FC. Going into the game on Saturday, the Venoms have won 5 of their last 7 Uganda Cup games (D1 L1). At home, Ouma’s side have won all three of their last three games, scoring 8 and conceding only one goal.